We have put our specialist knowledge and 100 years of experience weaving high quality, truly endless extraction webs to create a bank of technical resources and useful product brochures to share and download. We will regularly update these pages with new content, making them an essential reference point - please bookmark this page so that you can keep re-visiting to make the most of the information and tools that we will be sharing. 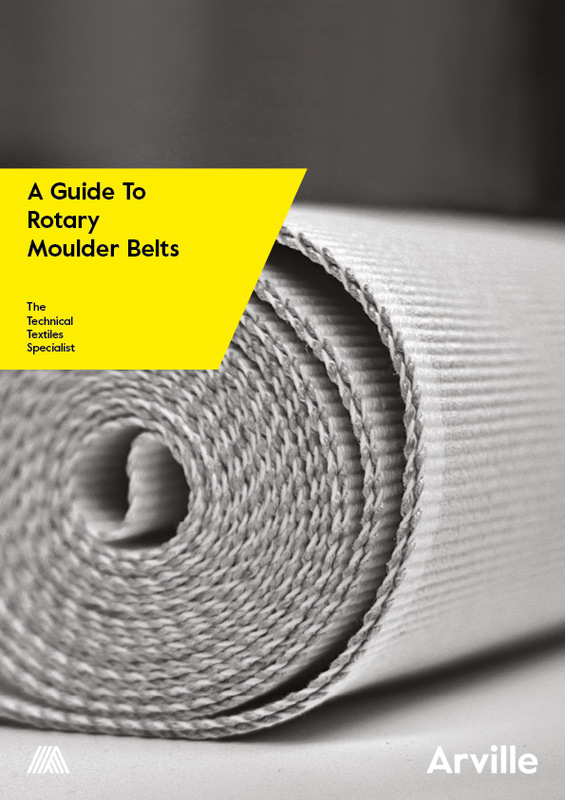 Arville are a specialist in the manufacture of woven belts for rotary moulder machinery and we have been leading the industry with our endless belts since their invention over 100 years ago - download a copy of our brochure for more details. Keeping pace with the growing complexity of regulations within the food industry, Brayband® endless woven rotary moulder belts have been independently tested and certified to meet with the migration requirements of European Regulation 1935/2004 (10/2011) for direct food contact. We operate to ISO 9001:2015 quality standards throughout; giving you peace of mind that our belts are manufactured to consistently meet your exact technical specifications. We are independently audited with full traceability from individual yarns right through to finished belts. The extraction and release characteristics are determined by a combination of three main factors: Absorption, Extraction and Release/Transfer. An ideal balance is needed to achieve both good extraction and good release - our informative guide to Arville's range of rotary moulder belts is an invaluable resource in deciding the most effective belt type for your requirements. 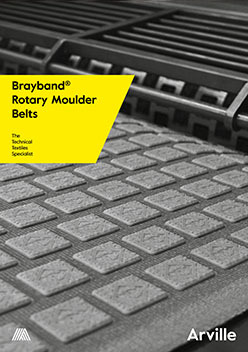 Brayband® rotary moulder belts are a truly endless woven belt specifically developed for the efficient extraction of dough forms from rotary moulding machines. A variety of weave patterns and component yarns allow our belts to give long-life service, effectively extracting all dough types whilst readily discharging the product onto the oven feed band. We have developed a range of unique extraction webs which are designed for processing every type of dough product including cookies, soft dough biscuits, hard dough biscuits, crackers, baked snacks, cream sandwiches, baked pet treats, pie lids, etc. We take your data seriously and do not share it with any third parties. Looking for a datasheet? To meet with any of your audit, QA or compliance requirements, each of our belt types has a datasheet providing technical information, test criteria, physical descriptions for your records.